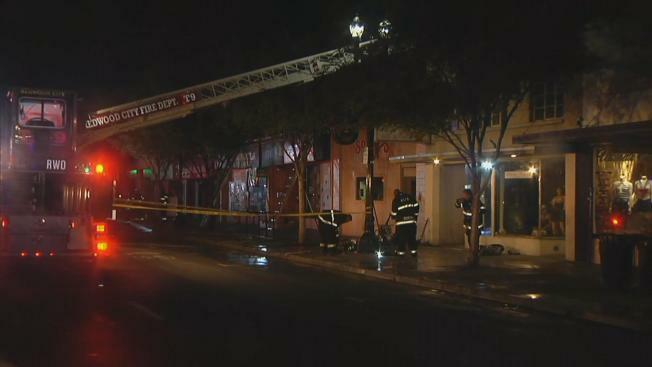 A two-alarm fire broke out early Monday morning in Redwood City at Sodini's Cocktail Lounge. Lounge owner Shannon Carroll, who runs the bar with her husband, Robert, said that she was doing "OK," but would be doing "a lot better if I knew a lot more." She said the lounge, at 727 El Camino Real, was a place where locals come to watch football and baseball on TV. "We're a place to get away from the day," she said. El Camino Real was shut down in both directions near the lounge as fire crews worked to put out the flames. The fire got into the interior of the lounge but remained mostly contained to the back of the building, which is where fire officials believe the fire started.